Baby Bjorn Baby Backpack - NO. 1 item to travel with! 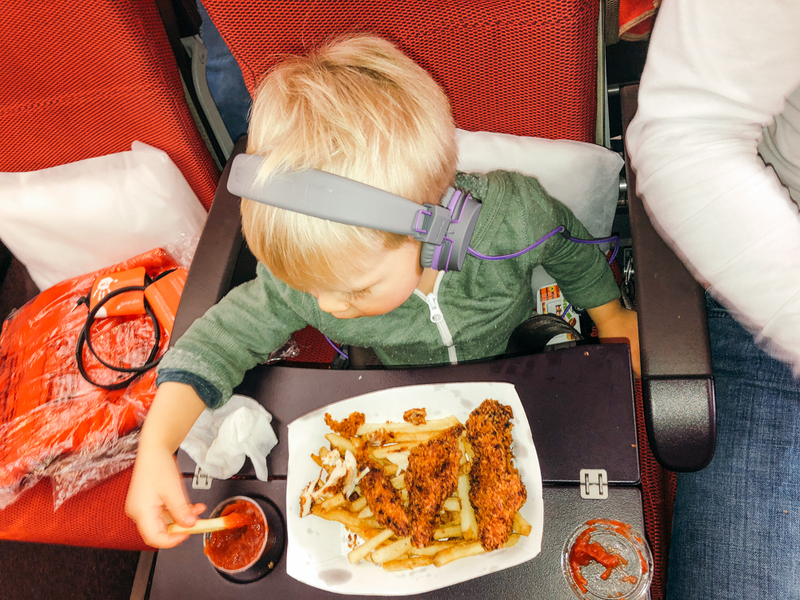 Headphones (for the kids and for us!) they even make ones for babies now! 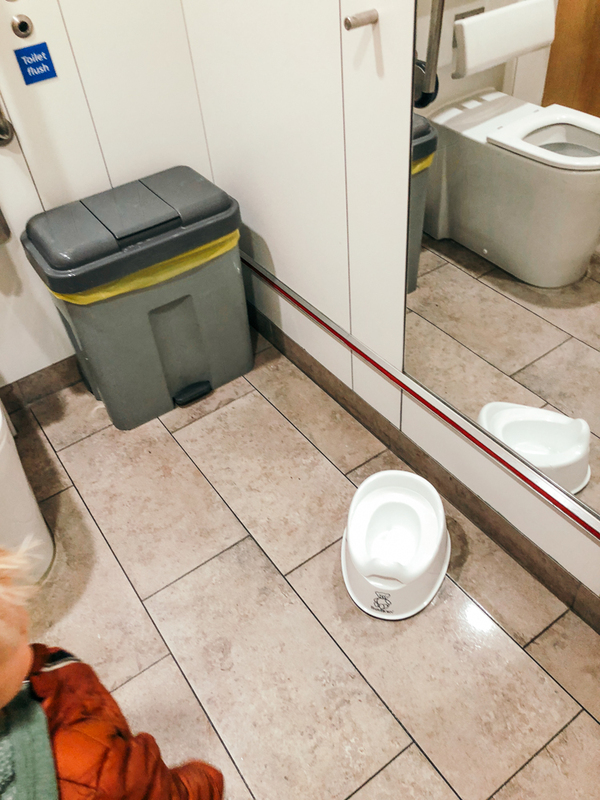 Potty - if you’re travelling whilst potty training, it is invaluable to bring a potty with you! Most international flights will have a baby bassinet you can request. Not only do you get the bassinet but you also get extra leg room even if you don’t use it! Say you’re travelling as a family with a lap infant and there is usually a special area for families on the plane. Always request extra pillows and blankets to keep them cosy! Because of travelling with a baby, we brought our carseat with us. VERY important you bring a spare duffle bag for it to go in if it needs checking or cabin check, else they'll just throw it around and it’ll dirty it up. We also Brough our stroller with us, and as you can see from these photos it doubles as a great bag carrier! I wore Aura, Tudor walked and we used the stroller as a cart for all of our coats and bags. We got a very large extra car seat bag and in that we put the potty, the carseat and the toddler seat for the uppa baby for even extra storage. 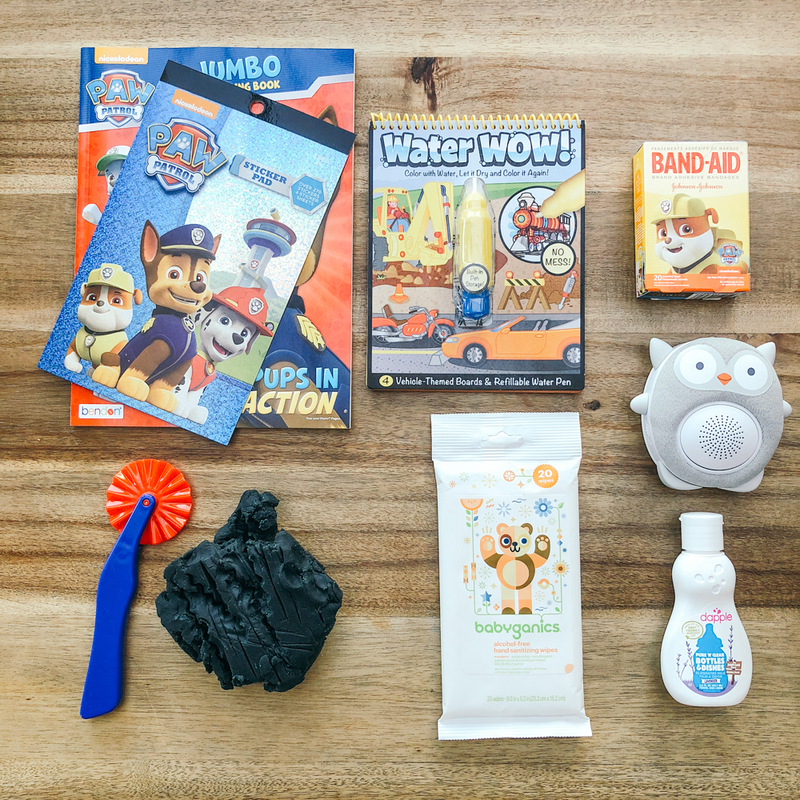 As you can see with the pictures of Tudor’s backpack we always pack him a bunch of fun stuff to keep him busy to avoid any airplane tantrums. Books, playdoh, coloured pipe cleaners, stickers, toys and his own stash of snacks. I actually make my own play doh which you can read more about here to save money! I’ll leave you with this photo of baby Aura nodding off to sleep mid-flight, and if that isn’t every mom’s personal success story, getting their baby to sleep on a flight, then I don’t know what is!